This week, we are being asked to make a special connection with our hearts. Make the bridge between your higher self and your heart strong this week, with energy flowing freely. To increase the flow of energy, let it flow through you and out your hands. 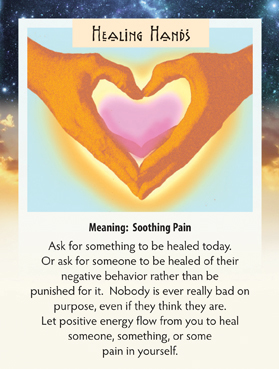 You should always ask permission before healing someone from them, but there is always plenty of comforting you can do. The more energy that flows through you to someone else, the more benefit to you too. It’s win-win!